The citizens of Twin Peaks are many and varied, and the best way to get to know most of them is by watching the series. But whether you’re new to the Twin Peaks storyverse or you’d just like a refresher on some of the major players, here is a small cross-section of characters who play important roles in the town’s unfolding saga. Don’t worry if you don’t see your favorite character listed below — there are many more characters you’ll be able to follow along the way. 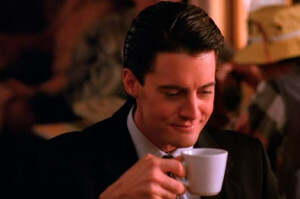 In February of 1989, the FBI dispatched Special Agent Dale Cooper to Twin Peaks, WA, to investigate the murder of a local high school student named Laura Palmer. During his investigation, Agent Cooper got a glimpse of the dark underbelly of the seemingly-idyllic Pacific Northwestern town. What’s more, he learned that Laura’s death was not an isolated incident; she was the latest victim of a serial killer with a very particular M.O. Cooper eventually brought Laura’s killer to justice, but that wasn’t the end of the story. 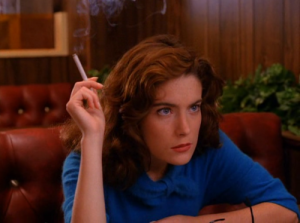 Cooper believes that Laura’s death is inextricably tied to a place called the Black Lodge, a source of great evil in the woods surrounding Twin Peaks. And Cooper’s not alone; his former partner (turned escaped mental patient) Windom Earle has been searching for the Black Lodge since 1965. Windom Earle recently arrived in Twin Peaks with a score to settle and decades-old quest to fulfill, and his machinations may prove to have an indelible impact on Cooper and those closest to him. 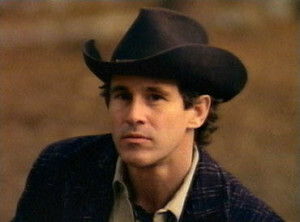 Named after the U.S. president that shares his name, Harry Truman is the beloved, long-time sheriff of Twin Peaks. He is also the president of a local organization called the Bookhouse Boys. As far as most of the town knows, the Bookhouse Boys is nothing more than a motorcycle club, but as Dale Cooper learned shortly after coming into town, they are in fact a self-proclaimed secret society dedicated to protecting their town from “the evil in the woods.” Despite Agent Cooper’s unorthodox investigative methods, Harry and Cooper were fast friends, and after a few weeks, Cooper was even made an honorary Bookhouse Boy. Since the recent passing of his troubled girlfriend Josie Packard, Harry has been wracked with grief. 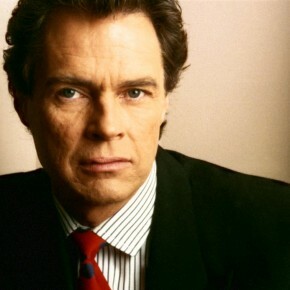 Come the end of the series, Harry has dedicated the full resources of the Twin Peaks Sheriff’s Department to finding Windom Earle and freeing Twin Peaks from his grip of terror. After a torrid high school romance ended in a suicide attempt, Annie Blackburn banished herself to a convent in 1981. Eight years later she returned to her home town of Twin Peaks, where she quickly became enamored of Special Agent Dale Cooper. Encouraged to participate in the town’s Ms. Twin Peaks competition, her involvement drew her the unwanted attention of Cooper’s deranged former partner Windom Earle, and Cooper was forced to look deep into the abyss in order to keep her safe. 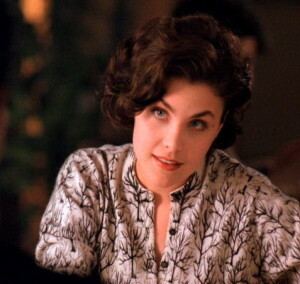 Annie’s elder sister, Norma married Hank Jennings shortly after graduating from Twin Peaks High, despite her abiding love for high school sweetheart ‘Big’ Ed Hurley. Despite her dangerous husband’s criminal enterprising and her romantic troubles, Norma is a successful business owner and is highly respected in Twin Peaks. When not running the Double R Diner, she dedicates herself to helping others and community service. Unfortunately for Norma, helping others often comes at the expense of her own happiness. One of the richest men in Twin Peaks, Ben Horne owns two of the town’s oldest and most-thriving businesses, Horne’s Department Store and the Great Northern Hotel. An unscrupulous corporate magnate, Ben also once owned a house of ill-repute just across the Canadian border called One Eyed Jack’s. But as of the end of the series, Ben had turned over a new leaf by spearheading the Stop Ghostwood movement, a cause dedicated to thwarting a property-development project which promises to have a dire environmental impact on Ghostwood National Forest. With the help of his brother Jerry and daughter Audrey, Ben seems committed to making up for a life misspent. Daughter of Ben and Sylvia Horne, Audrey is a woman beyond her years despite only being a senior in high school. Her inquisitive nature and insatiable curiosity all too often lead her into harm’s way, although her efforts have also helped Agent Cooper and the Twin Peaks Sheriff’s Department in the past. A strong believer in both social justice and environmental protection, Audrey has recently dedicated herself to the Stop Ghostwood campaign. Last we saw Audrey, she had chained herself to a bank vault at the Twin Peaks Savings & Loan to protest their financial ties to the Ghostwood Development Project. But unbeknownst to Audrey, a more imminent threat rests inside the very bank vault within which she now finds herself confined. 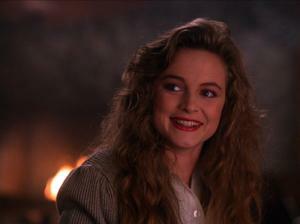 Raised by Bill and Eileen Hayward, Donna is a senior at Twin Peaks High. Best friend to the legendary Laura Palmer before her untimely death, Donna has struggled to find herself in the months since. For a time, she found solace with biker James Hurley, Laura’s ex-fling, but the timing never seemed right for the two of them. Just before the fateful Ms. Twin Peaks pageant, Donna discovered that Bill Hayward was not her biological father, that she was in fact the product of an affair between her mother and Benjamin Horne. As Donna struggles to piece her life back together in the wake of these tragedies and revelations, she is quickly realizing she needs to do so on her own terms. Doc Hayward is the town’s resident physician, working out of Calhoun Memorial Hospital. He and his wife Eileen are the proud parents of three daughters — Donna, Harriet, and Gersten — though his relationship with his eldest has fallen on hard times with her recent discovery that he is not her biological father. A well-respected town elder, Doc Hayward is a stoic presence in a town increasingly plagued by chaos. 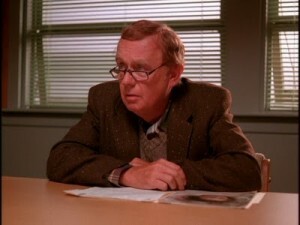 As Twin Peaks becomes ever more dangerous, Doc Hayward is doing his part to keep his hometown a safer place.